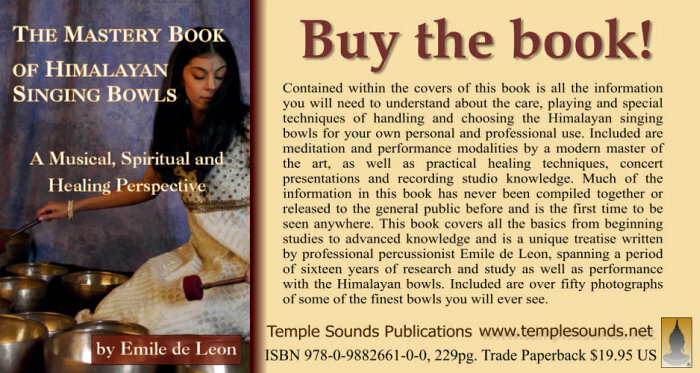 Temple Sounds, templesounds, Tibean singing bowls, Emile de Leon. Buy autographed meditational music. book andmeditation videos Concert listings and events. 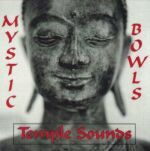 MYSTIC BOWLS by Emile de Leon (Temple Sounds). This powerhouse duo's presentation of Tibetan singing bowls is no less than impressive. From the first track, "Awaken," I was seized by the players' sense of timing and knowledge of their instruments/ power. Five years of work and many miles of travel went into this album, and the bowls they play were hand-selected from among more than 5,000. From the deepest bass to the chimes of smaller bowls, the sounds draw listeners into a world without time, a dimension without form or limitations, a realm where all thought is possible but no thought is necessary. This is truly amongst the best Tibetan bowl-toning I've heard. 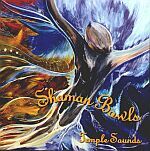 In its initial call to the spirits and communion with the divine force, the third track, "Calling Spirits," exhibits the artists' true knowledge of harmonic celebration. What you need to send us to on open a wholesale account is also available on this page. Very Rare and Special Shiva Lingham Bowls. 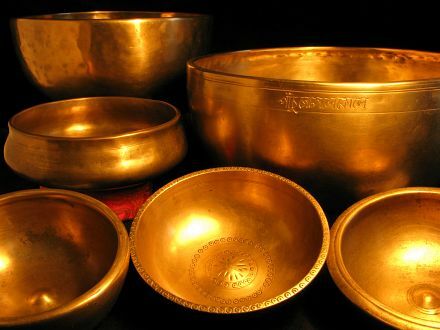 We specialize in the finest Singing Bowls in the world. Please see our Rare and Special Bowl page or call/e-mail for the most recent acquisitions from Nepal and the Himalayan region. All of our albums are now available as digital downloads. CLICK HERE! Select an image above to be taken to its page. Home of the finest Tibetan Singing Bowls & Music! 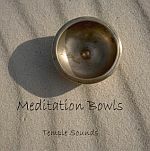 Tibetan singing bowl music for meditation, reiki, inner journeying, tai-chi, and the Healing arts. More bowls added to our Modern, Small, Collection and Sale pages. More sets have been added to both Bowl Sets pages 1 & 2. New 16 inch Himilayan gong on the gong page. We recently learned we had a dodgy phone box, so for any who may have tried to call us over the past week and a half and could not get through that is the reason why. We have just posted some Perfect Pitch A440hz and 432hz Pythagorean sets on our main SETS PAGE. Three bowls have been added to our SALE page and two more added on MODERN BOWLS. Available now! - Visit our Publication's Page to order!